Join Director of PFF Fantasy Jeff Ratcliffe Thursday 6:45-7:45 p.m. 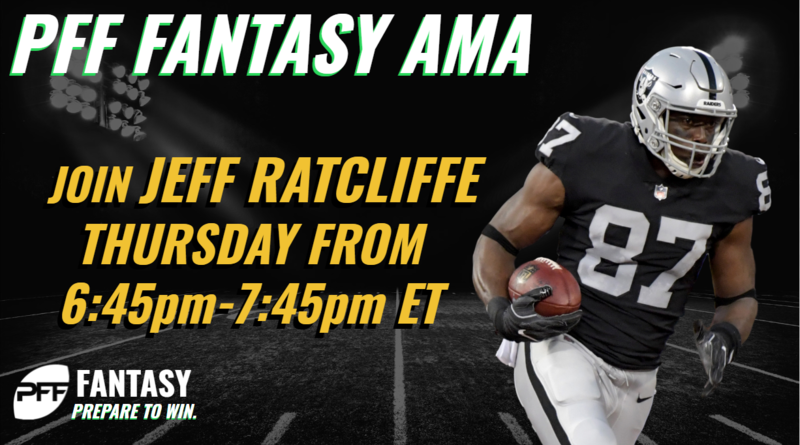 ET for a live fantasy AMA for Week 9. Get help setting your lineup, deciding on a streamer, with early DFS decisions, and more! Thursday’s chat is now complete. Check out the recap below, and come back Saturday afternoon for Tyler Buecher’s DFS-centric chat.